It is time to start comparing some of the best food delivery companies. Today, we will focus our attention on two of major players in the meal delivery service industry. Both the meal prep delivery providers are long established and have an excellent reputation. The first company we are going to discuss is Home Chef, which is known to offer sumptuous new versions of the normal or classic meals for your family. We are comparing it with Hello Fresh, which is German based prepared food delivery provider that is active in the US market for several years now. Let us compare these two companies to find out which company is the best meal delivery service provider for you. The Classic Plan is ideal for 2 or 4 people, who plan to order 3-4 dishes a week. The Family Plan is for those who want to order 2-3 dishes for 4 people. The Veggie Plan can be used for those who want to order 3 recipes for 2 or 4 people. When you order ready made meals with Home Chef, you can choose from 15 dishes a week. You are given this option irrespective of the number of people in your home. These 15 dishes include 3-4 vegetarian dishes and 3 no cooking dishes. In comparison, if you choose the Classic Plan of Hello Fresh, you are given the option of choosing from 8 dishes. If you select the Family Plan, you can choose from 5 dishes. For those who choose the Vegetarian Plan, they can choose from just 3 dishes. However, with Hello Fresh you are given the option of changing your meal delivery service plan to suit your needs. When it comes to diversity of the fresh meals delivered to your door, both Hello Fresh and Home Chef offer a wide range of dishes, both in terms of style and ingredient base. You are likely to enjoy the dishes of both meal prep companies because they have focused their attention on classic dishes that are easy to cook. Also, to fulfill your nutritional and diet needs, they include several extra vegetables that are easy to cook and are simple. As a result, both these meal prep companies are an ideal option for those who are new to ordering meal kits because their dishes are not intimidating, and they offer great options. Home Chef is slightly better than Hello Fresh because they are known to make an extra effort in adding some recipe twists to their dish. When it comes to dinner delivered to your door, you want it to have good quality ingredients. Both Hello Fresh and Home Chef are known to offer high quality ingredients. Home Chef has a partnership with some of the best food suppliers such as World Wide Farms and Paysan Breton Butter for vegetables and fresh farm herbs. For seafood, they have tied-up with Sea to Table. The meat and pork in their meal kit is sourced from domestic producers and they have no added hormones. Hello Fresh makes sure all the poultry products they use are hormone and antibiotic free. 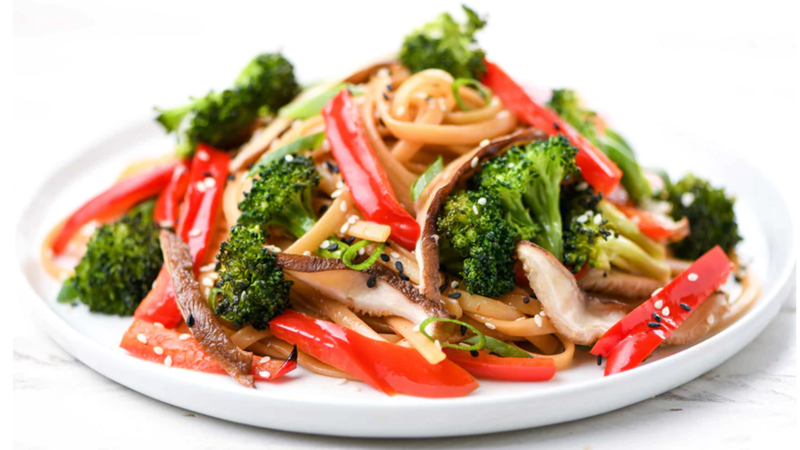 With prepared meals delivered to your door, you can expect it to have organic vegetables. However, Hello Fresh does not always use organic vegetables but their vegetables are fresh, local and of excellent quality. They claim that their main intention is to help people include more fruits and vegetables in their diet, rather than focusing their attention of whether these fruits and vegetables are organic or not. Both these pre made meals companies deliver their ingredients in aesthetically packed carton boxes that are professionally packed and labelled. These boxes also boost of a company logo on them. The ingredients of meal kits are sorted, labelled, and bagged, so you don’t have trouble cooking your favorite food. Also, this makes unpacking the meal kit stress free and easy. Both home delivery meals providers put refrigerated items such as tofu, seafood, and meat at the bottom of the box with icing to prevent them from getting spoilt. Another benefit of icing these products, is so that they remain at a cool enough temperature and fresh during the delivery process and can remain outside for several hours without any concern. Both these diet meal delivery companies offer an easy and well-organized website. To get healthy prepared meals delivered to your home, all you have to do is visit their website or app. Just register on their website, select the plan you like, select the desired dishes, and make the payment. The complete process is extremely easy and user-friendly. You can also use their website and app to get information on their future and past dishes, including some interesting recipes, ingredients used, and nutritional information. 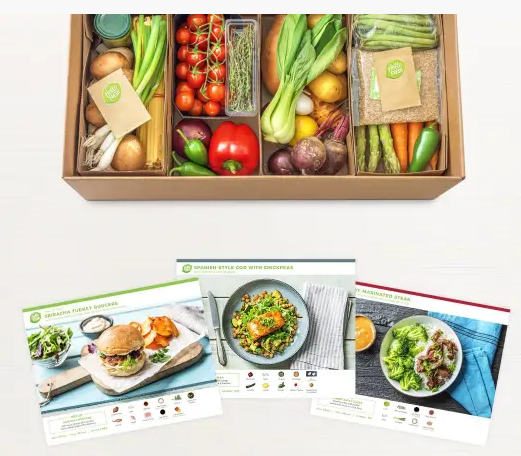 Both Home Chef and Hello Fresh offer their healthy food delivery service in subscription form. This allows you to skip weeks when needed. You are also given the flexibility of selecting the preferred date of your home delivery food. Both these health food delivery companies give you the option of cancelling your subscription whenever required. If you need any assistance, you can always contact their customer support. What makes Home Chef one of the best food delivery services is their excellent add-ons. You can add a fruit basket or a smoothie for just $4.95 each. With Home Chef, you get a 5-minute dishes that requires no cooking. This option can be added for $7.99. For those who are looking for kitchenware such as knives, pots, pans, or any other item, make sure you check out their website, as they have an excellent collection of kitchenware. If you plan to use the fresh food delivery service of Hello Fresh, make sure you check out their two add-ons. Like Home Chef, they offer kitchenware such as knives, cooking ware, store solutions, prep tools, and several other items. The second add on is the option of getting 6 bottles of wine every month for $89. You have the option of choosing from white, red, or a mixed plan. So which should your choose HelloFresh or Home Chef? It all depends on your personal requirements, for example if you have specific dietary requirements then Hello Fresh will probably be your best option. And there is also nothing wrong with trying both companies as that is the best way to see for yourself which meal prep services is right for you. Click Here To Get 3 FREE Meals From Home Chef! 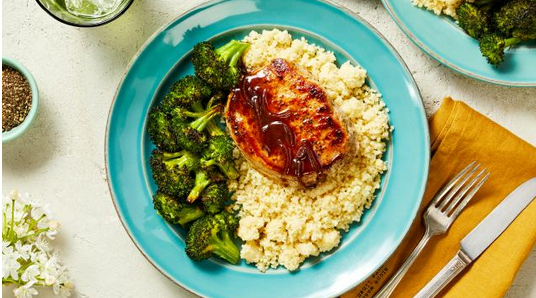 Click Here To Save $60 On Your Hello Fresh Order With A Coupon!